myHEALTHware Fax gives you the option to delete a fax or archive a fax. Delete a Fax: Permanently deletes a fax from your Fax Inbox and from myHEALTHware. 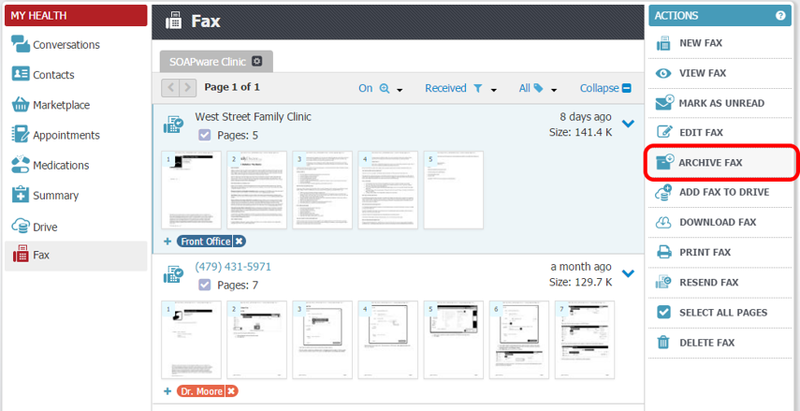 Archive a Fax: Moves the fax to an archive folder in myHEALTHware, but allows the fax to remain accessible in the future. To delete a fax from your inbox. Select the fax by clicking on it, then choose Delete Fax. 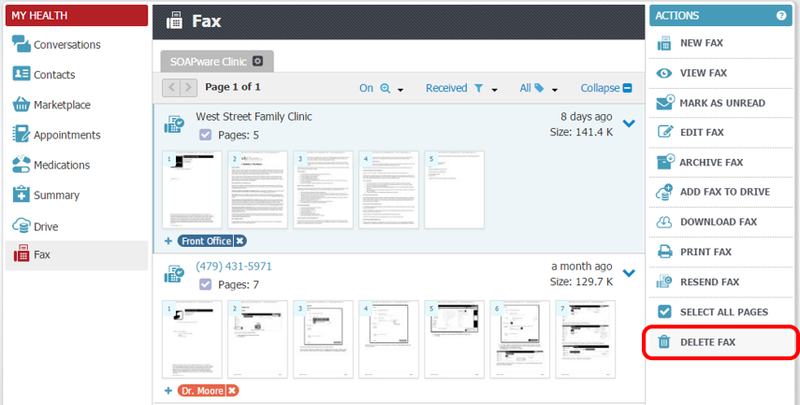 This will permanently delete the fax from the myHEALTHware system. To archive a fax, select the fax by clicking on it, then choose Archive Fax. This will place the fax in an archive status. To view a list of your archived faxes, click the Filter drop-down menu, then select Archived. To move the fax back to your Fax Inbox, select the fax, then choose Unarchive Fax. Download the myHEALTHware Mobile App from an App Store!